Join Keep Prince William Beautiful for a fundraiser benefiting our world-class environmental programs. JK Enterprise Landscape Supply is so pleased to be participating in this event. Not only will it be great fun, but it is to celebrate a great cause! When: Friday, April 28, 2017 6:00 p.m. 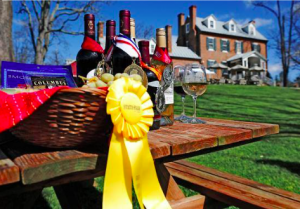 Celebrate a beautiful Prince William County and our farmer’s community with an open wine bar.